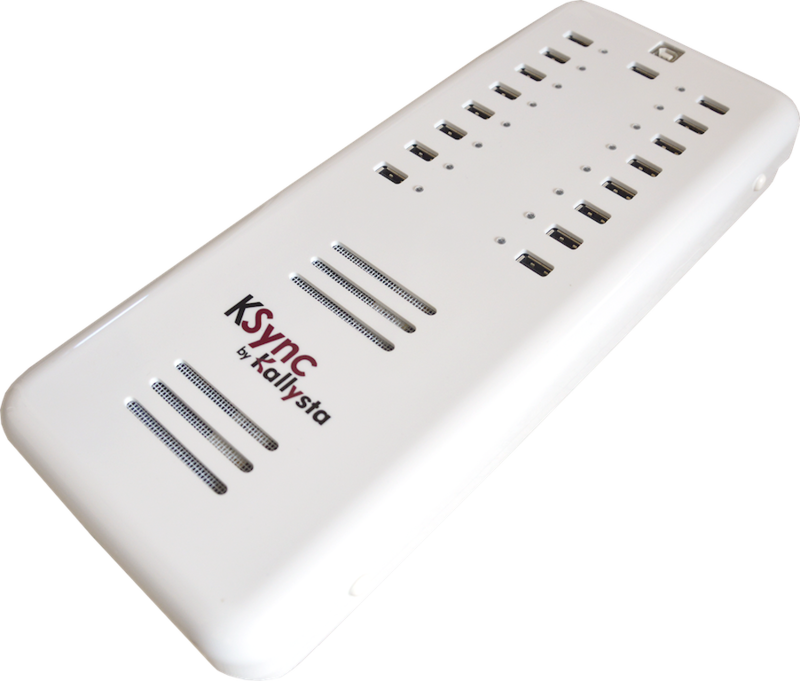 This KSync USB system allows you to efficiently and intelligently recharge a fleet of 16 tablets and/or other USB devices thanks to two powerful integrated power supplies. With its USB cable connected to a computer, this solution synchronizes data (resources, applications, updates, etc.) on all the connected devices. Its seventeenth available USB port also offers the ability to chain this KSync module to another MA16 USB system.